At Insider Monkey, we pore over the filings of more than 700 top investment firms every quarter, a process we have now completed for the latest reporting period. The data we’ve gathered as a result gives us access to a wealth of collective knowledge based on these firms’ portfolio holdings as of September 30. 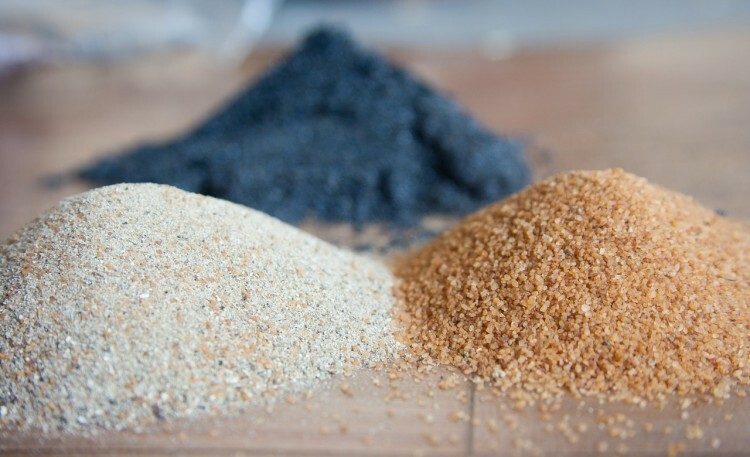 In this article, we will use that wealth of knowledge to determine whether or not U.S. Silica Holdings Inc (NYSE:SLCA) makes for a good investment right now. Is U.S. Silica Holdings Inc the right investment to pursue these days? The best stock pickers are taking a bearish view. The number of long hedge fund bets retreated by ten lately. Silica was in 22 hedge funds’ portfolios at the end of September. There were 32 hedge funds in our database with SLCA positions at the end of the previous quarter. At the end of this article we will also compare SLCA to other stocks including RPX Corp (NASDAQ:RPXC), Meridian Interstate Bancorp, Inc. (NASDAQ:EBSB), and Lakeland Financial Corporation (NASDAQ:LKFN) to get a better sense of its popularity. If you’d ask most shareholders, hedge funds are assumed to be slow, old investment tools of the past. While there are greater than 8,000 funds with their doors open today, Experts at hedge fund tracking site Insider Monkey hone in on the moguls of this club, approximately 700 funds. These investment experts direct most of all hedge funds’ total capital, and by paying attention to their top picks, Insider Monkey has spotted several investment strategies that have historically beaten the broader indices. Insider Monkey’s small-cap hedge fund strategy outrun the S&P 500 index by 12 percentage points annually for a decade in its backtests. With all of this in mind, we’re going to take a glance at the recent action regarding U.S. Silica Holdings Inc (NYSE:SLCA). How are hedge funds trading U.S. Silica Holdings Inc (NYSE:SLCA)? At Q3’s end, a total of 22 of the hedge funds tracked by Insider Monkey were long in this stock, a drop of 31% from the previous quarter. With hedgies’ capital changing hands, there exists a select group of key hedge fund managers who were upping their stakes meaningfully. According to hedge fund intelligence website Insider Monkey, Israel Englander’s Millennium Management has the number one position in U.S. Silica Holdings Inc (NYSE:SLCA), worth close to $50.8 million, corresponding to 0.1% of its total 13F portfolio. The second-most bullish hedge fund manager is Discovery Capital Management, managed by Rob Citrone, which holds a $20.2 million position; the fund has 0.2% of its 13F portfolio invested in the stock. Remaining hedge funds that hold long positions comprise Anand Parekh’s Alyeska Investment Group, Daniel S. Och’s OZ Management, and Philippe Laffont’s Coatue Management. Seeing as U.S. Silica Holdings Inc (NYSE:SLCA) has witnessed bearish sentiment from the entirety of the hedge funds we track, it’s easy to see that there exists a select few hedgies who sold off their full holdings in the third quarter. It’s worth mentioning that Daniel S. Och’s OZ Management dumped the largest position of the 700 funds watched by Insider Monkey, a position of call options underlying shares of U.S Silica totaling close to $35.6 million in stock. Todd J. Kantor’s fund, Encompass Capital Advisors, also cut its stock, about $18.5 million worth. These bearish behaviors are intriguing to say the least, as aggregate hedge fund interest was cut by ten funds in the third quarter. Let’s also examine hedge fund activity in other stocks similar to U.S. Silica Holdings Inc (NYSE:SLCA). These stocks are RPX Corp (NASDAQ:RPXC), Meridian Interstate Bancorp, Inc. (NASDAQ:EBSB), Lakeland Financial Corporation (NASDAQ:LKFN), and Ethan Allen Interiors Inc. (NYSE:ETH). All of these stocks’ market caps match SLCA’s market cap. As you can see these stocks had an average of 13.75 hedge funds with bullish positions and the average amount invested in these stocks was $95 million, while in U.S. Silica that figure was $243 million. RPX Corp (NASDAQ:RPXC) is the most popular stock in this table. On the other hand Lakeland Financial Corporation (NASDAQ:LKFN) is the least popular one with only four bullish hedge fund positions. Compared to these stocks U.S. Silica Holdings Inc (NYSE:SLCA) is more popular among hedge funds. Considering that hedge funds are fond of this stock in relation to its market peers, it may be a good idea to analyze it in detail and potentially include it in your portfolio, but be aware that hedge fund sentiment has rapidly fallen.